ANNAPOLIS, MD – Governor Larry Hogan has directed Maryland state agencies to coordinate and work together to keep Marylanders safe and informed following Sunday’s severe weather, which included extensive and persistent rain, major flooding, and power outages in multiple locations throughout the state. Ellicott City in Howard County was particularly devastated by this weather event, which also included significant flooding in Baltimore County, Baltimore City, and Annapolis. Governor Hogan declared a statewide State of Emergency on Sunday, May 27, which enables the state to efficiently coordinate support and provide additional assistance to all local jurisdictions experiencing flooding conditions. The governor is urging Marylanders to avoid the Ellicott City area while crews perform rescue operations and work to assess the damage left by the floods to begin the recovery process. On Sunday, MEMA elevated the State Response Activation Level to help efficiently coordinate assistance and support for local emergency management offices. MEMA is supporting Howard County and other jurisdictions’ requests for assistance and fulfilling needs as requests come in. MEMA is coordinating with neighboring states for support and has collaborated with parts of Maryland and Virginia to organize an Incident Management Team to support operations in Howard County. MEMA is facilitating conference calls with state agencies and local partners to maintain situational awareness and coordination. MEMA Executive Director Russ Strickland is in Ellicott City today working with Howard County Office of Emergency Management. Superintendent Colonel William Pallozzi immediately contacted Howard County Police Chief Gary Gardner and offered assistance. A Maryland State Police Mobile Field Force was activated bringing more than two dozen state troopers to work perimeter security around Ellicott City, including members of the State Police Motorcycle Unit who are patrolling on all-terrain vehicles. Troopers from the Special Operations Division are staffing the Howard County Emergency Operations Center as well as the State Emergency Operations Center in order to ensure any requests for State Police assistance are addressed immediately. Maryland State Police Aviation Command crews are on standby to assist with any requested aerial support. During the storm, troopers responded to areas of high water, including the outer loop of I-695 between I-70 and Washington Blvd., where three feet of water required the highway to be temporarily closed. Six state roads remained closed this morning, including four from yesterday’s storms and two from earlier storms. Several other roads were closed on Sunday evening. State Highway Administration (SHA) CHART crews were deployed across every district last evening through this morning, with at least two crews on patrol in all seven districts. Three CHART units were dedicated to Ellicott City area to manage closures and response. The Office of Materials Technology arrived in Ellicott City this morning to begin evaluating pavement repairs required on MD144. USDOT’s Federal Highway Administration has reached out to MDOT SHA to discuss the possibility of applying for Emergency Relief Funding. MDOT SHA’s Office of Maintenance will continue discussions with Federal Highway Administration and Howard County. The Motor Vehicle Administration is prepared to work with law enforcement and local authorities to identify vehicles impacted by the flood and ensure they are processed appropriately. MDOT MVA requests that anyone who needs to obtain a lost driver’s license or identification card should contact our call center at 410-768-7000. The Maryland Department of Labor’s Division of Workforce Development and Adult Learning will provide job search services at the Columbia Workforce Center on a daily basis to assist all dislocated employees in connecting to employment opportunities. We will reach out to the local workforce director and will work alongside the local American Job Center to get job services to those affected by the flood in an expedited manner. The Columbia Workforce Center has staff and computers available to assist individuals with applying for unemployment. The Center is also prepared to provide any re-employment services needed to the residents of Howard County. The Columbia Workforce Center is located at 7161 Columbia Gateway Drive, Columbia MD 21046 and can be reached by phone at 410-290-2600. The Maryland Department of Labor’s Division of Unemployment Insurance is prepared to assist individuals who are unemployed as a result of the disaster in Ellicott City. Claims for unemployment insurance benefits can be filed over the phone or online. Claim Centers take claims by telephone only every Monday through Friday from 8:00 a.m. – 2:00 p.m. Claimant Information Service is available to answer questions about unemployment insurance benefits at 410-949-0022. 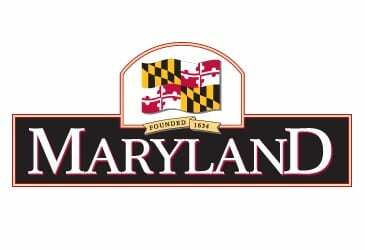 Callers from Maryland but outside of the Baltimore area can call 1-800-827-4839. The Maryland Department of Labor’s Division of Occupational and Professional Licensing will provide: Expedited printing or proof of licensing if licenses are damaged or inaccessible; Pamphlets that explain the importance of hiring licensed individuals to perform home repairs and electrical, plumbing, and HVAC work; and Representative(s) to explain or answer questions as needed. The Maryland Occupational Safety and Health (MOSH) unit can assign personnel to the disaster site for consultation assistance. We can also offer a supply of safety glasses and personal protective equipment including vests, gloves, and hard hats. The Maryland Occupational Safety and Health’s (MOSH) emergency phone number to report a workplace accident or fatality is 1-888-257-6674. The Safety Inspection Unit can provide final inspections of affected equipment such as elevators, boiler and pressure vessels and the railroad line. To reach the Safety Inspections Unit immediately, please call the emergency phone number at 410-767-2990 or e-mail: dldlisafetyinspection-dllr@maryland.gov. The Maryland Department of Housing and Community Development (DHCD) is deferring payments due on current loans for Ellicott City businesses that participated in the 2016 Maryland Business Recovery Loan Program and have been affected by the May 27, 2018, flooding. DHCD is activating emergency lending and grant programs to support businesses, individuals and families who require rental assistance, and homeowners and landlords that need help with repairs. Maryland Energy Administration and the Maryland Public Service Commission continue to monitor, support, and coordinate with the Maryland utilities on their storm mobilization, restoration and public safety efforts. The agency stands ready to support sheltering operations as requested, support requests for additional sanitarian staff for food service facilities, and support recovery operations and mental health needs as requested. The Deputy Secretary for Public Health Services, Dr. Howard Haft, met with the Howard County Health Officer Sunday evening. The Department will continue to provide the following programs, services, and constituent support: an inventory of assistive technology available for temporary loan, 11 portable ramps of varying lengths available for temporary loan and access to other ramps around the state, and durable medical equipment for loan through our partners. The Department coordinates reimbursement programs for personal care attendants for those previously approved and qualified for this program, coordinates affordable housing programs for people with disabilities, provides referrals and coordination for cases involving families and individuals with disabilities and may expedite certain loans for assistive technology. The Department continues to provide subject matter expertise and information accessibility support to local jurisdictions and state agencies, along with document remediation, website testing, and rendering social media messages for universal access for agencies supporting the response and recovery. The Administration is available to assist consumers with any insurance issues or questions. Consumers may call (800) 492-6116 for assistance. Information on the claims process is also available on our website www.insurance.maryland.gov and on our Facebook page www.facebook.com/MDInsuranceAdmin. Commerce immediately reached out to the Howard County Economic Development Authority (HCEDA) to offer assistance and was advised that HCEDA has a team in place, ready to respond once emergency personnel have completed their work. Funding previously provided by Commerce to the Department of Housing and Community Development, through the Small, Minority and Woman-Owned Business Program (VLT program) may also be available to assist businesses in recovering from the flood. The Maryland.Gov state portal was updated on Sunday with information from the Governor’s Office regarding the State of Emergency declaration. The Natural Resources Police has officers stationed at the Ellicott City command post and in the field working in tandem with the Maryland State Police. All-terrain vehicles and boats are on scene and being deployed as needed. The Maryland Park Service advises that the Avalon Area (including Avalon, Glen Artney and Orange Grove) of Patapsco Valley State Park (South Street/Route 1 in Elkridge extending to Ilchester Road south of Ellicott City) will be closed Memorial Day, and is expected to remain closed over the next several weeks. Bikers, hikers and other patrons are asked to access other park areas. The ongoing construction project to remove the Bloede Dam will take about two weeks to recover. The Patapsco Valley State Park site lost two bridges and a couple pieces of equipment, but there appears to be no damage to the new work. The Wildlife and Heritage Service is offering tracked utility task vehicles and personnel for assistance in and around Ellicott City; they are also monitoring potential impacts to land and wildlife management areas. The Chesapeake and Coastal Service will offer assistance to the county, state and city during the recovery stage to incorporate adaption and resiliency strategies to mitigate against future floodingimpacts to the community and infrastructure. The Maryland Forest Service advises those affected by the recent weather event to hire only Maryland Licensed Tree Experts to trim branches and remove damaged and downed trees. Only licensed tree care professionals can lawfully perform this work in Maryland. Click here to find a licensed expert in your area. The Resource Assessment Service is collecting post-storm water quality samples today at four sites: Gunpowder River, Patuxent River, Little Patuxent River and Manokin Branch. DGS maintains an emergency resource list of 100+ vendors that are ready to serve during a state of emergency. DGS can coordinate with our fellow state agencies to provide access to any vehicles in our DGS fleet or in other state agency fleets, including any trucks or four wheel drive vehicles, for usage by local or state agencies whose fleet may have been negatively affected by this flooding emergency. DGS, as the agency of record for the Federal Surplus Property Program, DGS can work with our federal partners, including FEMA and GSA, to secure a variety of surplus items. DGS can work with our fuel supply contractor Mansfield Oil and with our state fueling sites to coordinate the delivery of additional fuel to emergency assistance vehicles if such assistance is needed. DGS has a designated MEMA resource team procurement officer ready and willing to report on site to assist in utilizing the emergency resource list, as well as an offsite procurement officer available to provide additional emergency support. Ellicott City Multi-Service Center will be open for regular business on Tuesday, May 29th. If anyone is concerned about livestock affected by the flood, they should call MDA’s animal health office, 410-841-5810. The Maryland Department of Human Services (DHS) provided a representative to the State Emergency Operations Center and will continue to provide representation over the next 24-48 hours. As with any emergency, DHS’s Howard County Department of Social Services is ready to assist with emergency economic benefits such as food (as approved by the state and federal offices) and counseling services. DHS’s Howard County Department of Social Services will assist as navigators of local and state resources for those who are displaced or in eminent need of both economic and non-economic resources. DHS is prepared to provide staffing or resource support for sheltering as requested by the local jurisdiction. DHS continues to support all statewide communication efforts, relaying information regarding resources and support to any Marylander or visitor impacted by the devastating floods.